First, I'm not the creator of the bike's base build, I made my own changes to it but to the original creator out there: thank you so much! I always wanted to build this bike but could never feel good about the result until I saw yours and tried to recreate it using LDD. 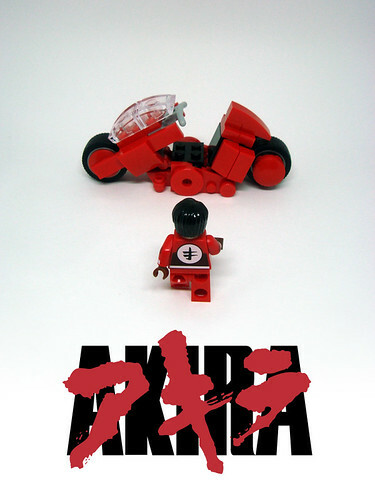 The Ninjago torso and legs are perfect for Kaneda, good timing to get everything ready for this pic.